Benders. Motorcycles. And the passion for customization – it’s all in the blood of Raphael and Christian. The whole Bender family has always been enthusiastic about two wheel bikes. Whoever grows up in such an environment is bound to have played around with souped-up scooters in their youth. 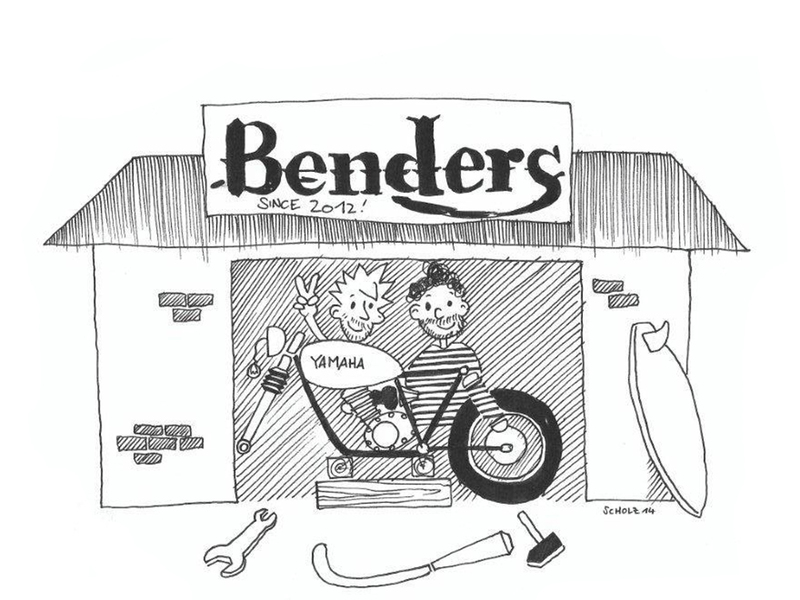 "We’ll just drop by at the Benders..."
Already back in their school days, the two brothers started to work at the local Kawasaki dealer, fixing up motorcycles that had been demolished in accidents. From the money they earned in these early days, they made their first two-wheeled dreams come true – from the legendary Kawa Z 550/650B to the sporty GPZ models – covering all engine capacities. Of course back then, four cylinders were a must-have. The garage of their house eventually became the meeting point for motorcycle enthusiasts from the entire district. “We’ll just drop by at the Benders”, was a phrase often heard in the streets of Karlsruhe in the 80’s. 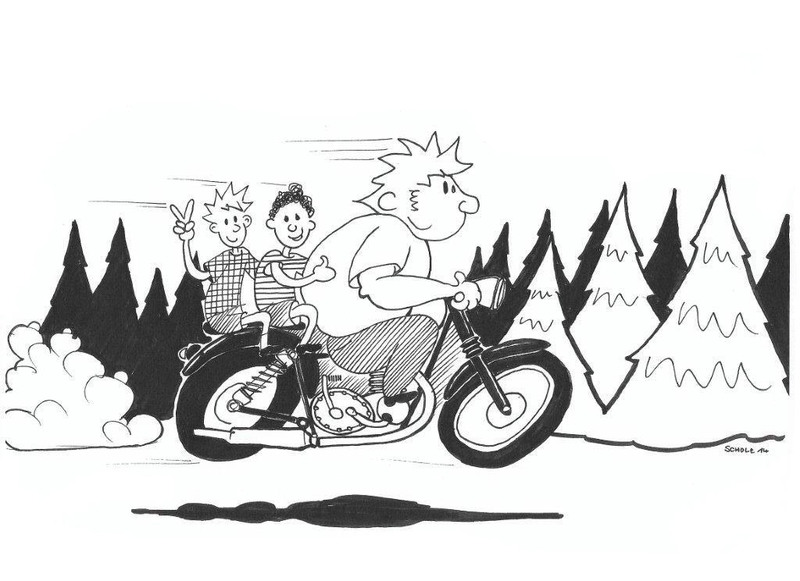 The backyard was full of riders that got addicted to the motorcycles: with cigarettes in their mouths, girlfriends on the work bench, oil stains under the engines, and a wide grin on their faces – they were indeed having fun! Ambitions grew ever bigger – and more international. 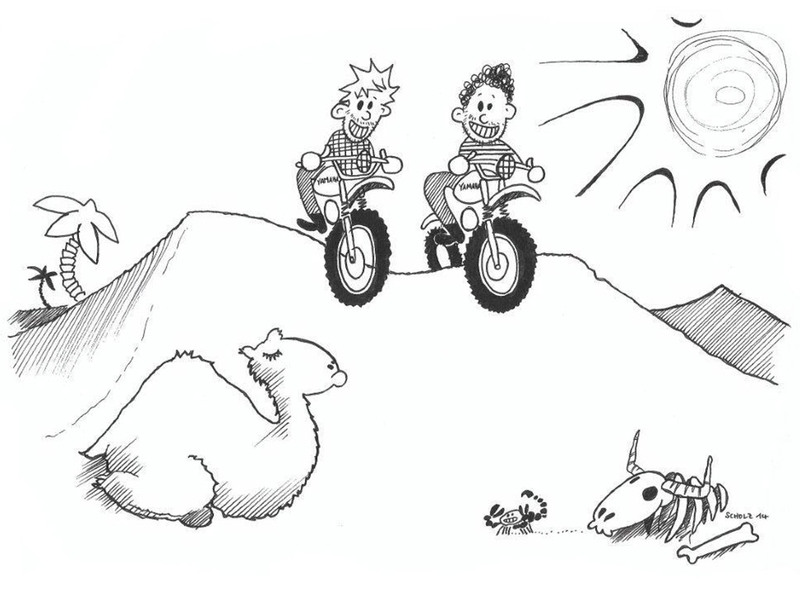 Raphael and Christian explored large parts of North and West Africa on their monster Enduros, named XT or GS. The Sahara Desert provided for their playground for many months. Although their motorcycles still worked as smoothly as on day one, the two brothers decided to return to the origin of their passion: they decided to professionalize their hobby with real material. And that’s how in May 2012 the Bender company got started. 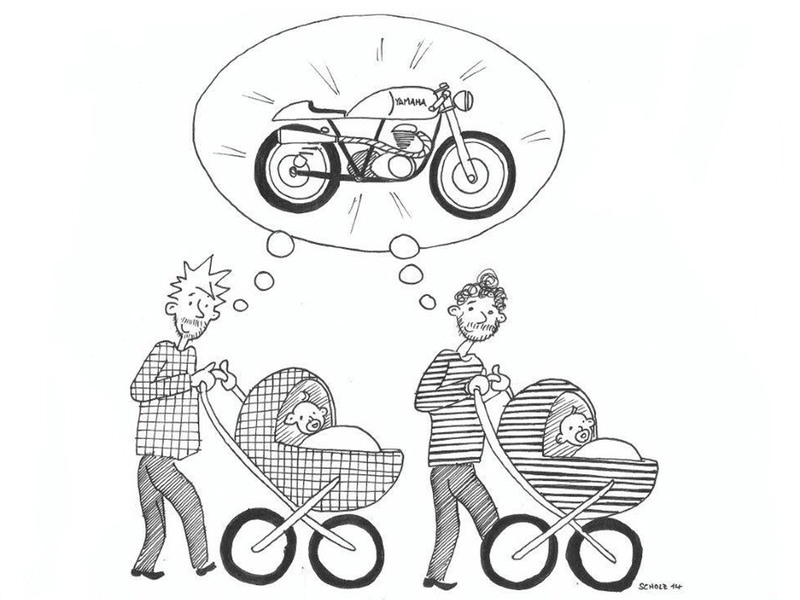 A big change shifted priorities: time for family life. And time to switch gears. The two wheelers got replaced by four wheelers –push by a two-legged engine, which had plenty of time to focus on customizing strollers. In May 2012, the Bender brothers returned to their original passion: They now got serious and turned their hobby into a profession: they started off with "Benders Echte" ("Bender's real motorcycles") in Ettlingen, near Karlsruhe. The small company’s motto: maximum fun with high-quality material. 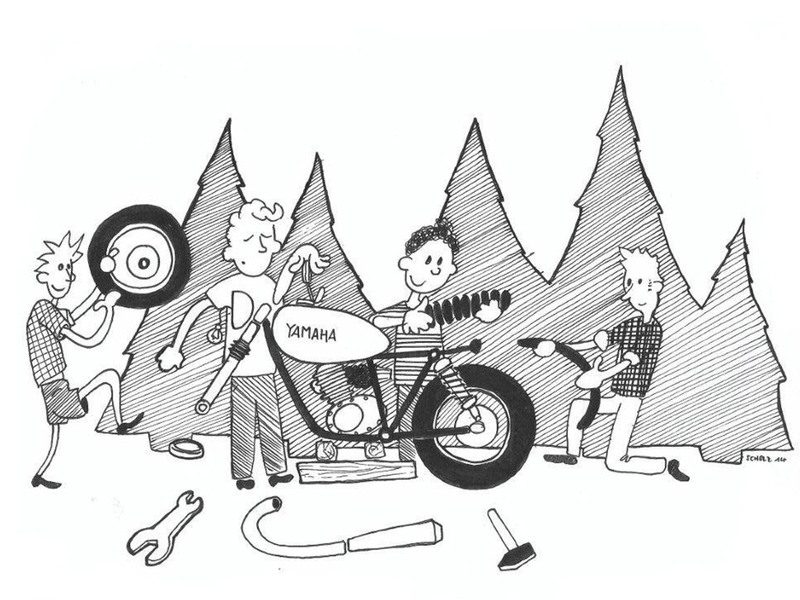 The idea: To fashion authentic and tangible motor bikes that were not off the shelf. 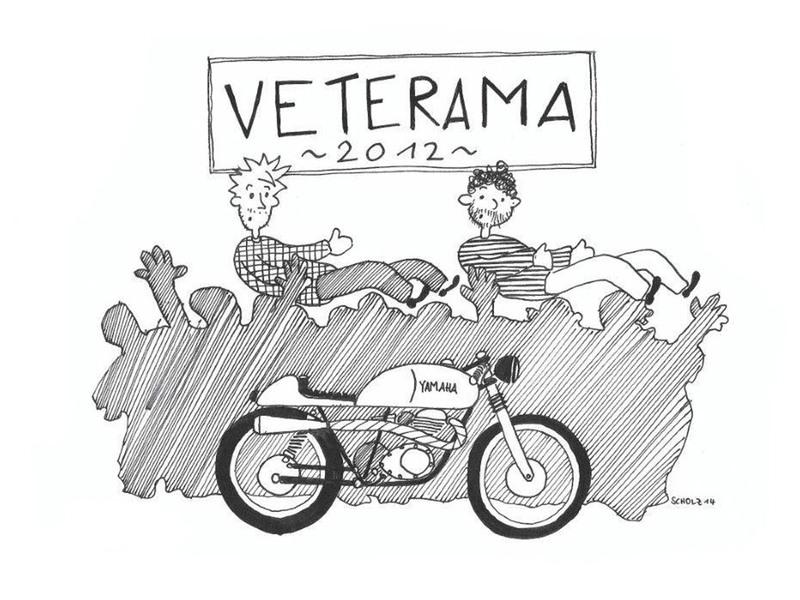 First remodels were based on older Yamaha models (XT/SR/XS/TR1) – "anything that’s fun". In their extensive workshop, the two brothers designed, built and sold customized motor bikes with a style of their own – a mix of Tracker, Café Racer, Bobber and Enduro. At the Veterama trade fair, Europe’s largest market for vintage parts for old-timers, young-timers and classics enthusiasts, the Bender's received very positive feedback (still to their surprise at the time), which encouraged them to continue to professionalize their work. So eventually in 2015, the "Benders Company" moved to Wiesloch, in midst the bustling Rhein-Neckar region: with a larger workshop – a stock of parts and merchandise along with an integrated café. Having settled in their new location, they now offer a wide range of services: from partial remodeling, repairing and servicing, to building complete bikes – either from new or on hand of used motor bikes. But always individually customized and always perfectly made to fit. Find out more about Benders Company – Meet the team.